When we first clapped eyes on the Misfit Ray we were slightly puzzled. 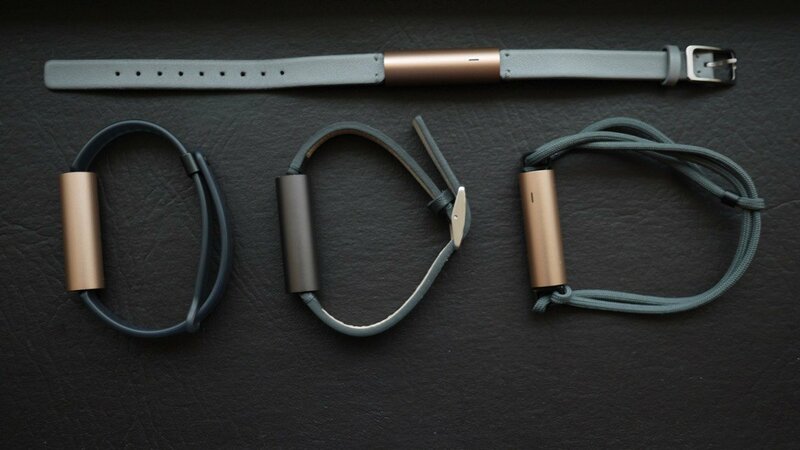 Here's a new, slick looking fitness tracker from Misfit, but it doesn't do anything different. The Misfit Shine 2 was released just a few months ago, so what's with this brand-new cylindrical tracker at the same $99 price? Well, it's actually the answer to a problem faced by all fitness bands. That problem is thus: people only have a maximum of two wrists. And each wrist can handle just one wearable at a time. Whether it's that classic watch you like, your shiny new smartwatch/fitness tracker or some other piece of jewellery, there's limited space for tech. What's more, people don't like wearing two devices – it looks dorky as hell and can leave you feeling encumbered. This is a problem for the fitness tracker. It was an even bigger problem for Misfit than most. The round-faced Misfit Shine 2 clashes with most watches – people don't want two circles on either wrist – which is why the Ray heralds an all-new design. It looks like a bracelet, sits alongside other bangles or bands nicely and can be worn as a necklace. In terms of design, Misfit is keen not to be drawn into questions of gender. While dainty enough to look good on smaller wrists, the Misfit Ray does a good job of staying fairly unisex. That said, the rose gold model, with sport strap, that we've been wearing is definitely leaning towards a feminine aesthetic. The black model with the – as yet not on sale – cord bracelet, or the leather bracelet that you can get for $20 extra, for instance, may suit male wrists more. The Misfit Ray itself is fairly dainty, measuring just 38mm in length and weighing just 8g, while it's still water resistant to 50m. At first it appears as if the unit itself is a hollow tube, but the strap clips into either end with a hidden 8mm bar. The unit itself pulls apart to reveal two replaceable batteries. The design also has another benefit. The straps are well and truly embedded into each end of the Ray, so there's no chance of it detaching from the band, lost forever on the street, which was a serious issue with the Shine 2. Overall, the Ray is a design win. It's slim, sleek, comfortable and won't pop out. And it's even more appealing in person than the Fossil Q Motion, a very similar looking tracker from Misfit's new owner. But you do lose a couple of things, most notably the circle of LEDs that the Shine series is famous for. Shine users are used to being able to use these to glance quickly at their progress and tell the time (with practice). Here, we have just one multicoloured LED. All in all, the Misfit Ray simply represents more of the same, in a more discreet form factor. First up: this is an activity tracker, not a sports watch, and as such it will count your steps, measure distance walked and estimate calories burned via a 3-axis accelerometer as well as tracking activities such as cycling, swimming, yoga and dancing. No heart rate, no stress, no GPS. Misfit step trackers are generally very accurate and the Ray is no exception; no surprise since this is a Shine 2 in different form. Wearing it on my wrist – often a problem for fitness trackers – I found that while the Fitbit Alta tended to add a 100 or so extra steps in the middle of the day, the Ray's results on the same days were slightly closer to the truth. Distance was generally accurate when we took the Ray out running, though we'd recommend a GPS watch or a hybrid alongside this. Calories, too, might seem stingy at first glance but they're much more helpful to you if they're not overestimating that workout burn. Days are broken down into scrollable stories. There are sometimes too many disparate activities but you can edit these to correct slight inaccuracies. What's also handy is that in the daily view, Misfit will tell you how much walking/running or swimming you still need to do to reach your daily points goal. You can also find friends on Facebook or compare your progress to say, the average female Misfit user. That said, I've found Fitbit and Jawbone's communities and insights more motivating in the past than Misfit's simple app. Plus you lose the easily glanceable progress circle of LEDs from the Shine – you can tap the Ray to get a different colour depending on what percentage you are towards your goal, but honestly, I found that I didn't end up doing this much. Sleep tracking is even more impressive – spookily so. You can edit the sleep and awake times in the Misfit app, which is helpful, but I didn't need to correct this once as it was spot on – the Ray even noted down my nighttime bathroom trips as 'awake' in the graphs. Plus it never once registered me as asleep when I was just watching Netflix. As for deep and light sleep, while this is pretty tricky for us to verify, short of lab tests, it's still interesting to dig into daily and weekly trends. A nice activity feature is Misfit Move, which means that the tracker will vibrate when you've been sitting still for say, one hour. I set it to buzz me between the hours of 10am and 5pm (when I'm most likely working at my desk) and it's a strong vibration (stronger than alerts) and LED combo that got my attention every time. Quick note: in terms of syncing, we had a few issues pairing and syncing the Ray to our Samsung Galaxy S6 Edge, a problem we've had before. Persist, get rid of other Bluetooth devices in the room, and it should work. But we did have to reset Bluetooth a few times which is a pain. Misfit hasn't added a screen to the Ray but that doesn't mean it's just a passive tracker. Alerts can be switched on in the Misfit activity app but are limited to calls and texts for now – a blue blinking light and subtle vibe means you have a text, or green for calls. They work well and it's up to you whether that's helpful or not. I haven't received a text from anyone but my grandmother in months so it would be nice to see Misfit open this up to all notifications (WhatsApp and email in particular). I imagine the reason it hasn't opened it up so far is to keep that battery life up. But if some users want to sacrifice some battery for a vibration when they get an email, why not let them? It's nothing close to what you get with Altruis, Ringly or an Apple Watch and I'm sure lots of Misfit fans would like to double up features wise. There's also a smart alarm which works as described – set a time for the Ray to wake you up by and you'll get a vibration, we assume during a period of light sleep, before that time. For all the promises of waking up fresher, we've never actually achieved that morning person glow, but hey, smart alarms are popular. Link wise, this requires a whole different Misfit app and sadly doesn't work quite as well with this form factor. With the Flash Link, you get more of a satisfactory button press so you know your action has been logged. Here with the Ray you're limited to two actions – double tap or triple tap – and one of those is already defaulted to showing activity progress. Plus I ended up tapping really hard to be certain it had registered. In short, it's limited. But if there are one or two things you want to control from your wrist – smart light bulbs, say, or your music on a connected speaker that is controlled from your phone – then this could be a nice bonus feature. You can add actions via IFTTT and altogether, it's great Misfit is going in this direction by adding the feature to all future wearables. It's just not there yet. As with the Shine 2, the Misfit Ray's up to six months battery life is all the more impressive now that it does smartphone alerts too (not all the ones we'd like yet, but some). What that essentially means is that there is no charging involved, which makes me feel a lot better towards any wearable, frankly. You can see the battery level in the Misfit app. Our Ray has been showing as fully charged for the past few weeks and has not budged from there. The Ray is powered by two button cell batteries which you will need to replace when your tracker does eventually die, but these are pretty cheap so overall it's a win, especially compared to screen-based trackers that can't last a week. Like the Fitbit Alta, it's hard (as a reviewer) to get excited about the Misfit Ray because it doesn't offer much that's genuinely new. That said, there are still plenty of people in the world yet to buy a fitness tracker – or even a wearable – and this is aimed at them. Maybe a classic watch wearer. Or the kind of person who stacks on costume bracelets. Or the smart home owner who wants to get a bit fitter. For the price, it's a comprehensive package and the no charging deal – especially with the notification vibrations – is still a real pull. A sleek all-rounder that is easy to live with and makes itself useful in a couple of different ways.